Sale on motorcycle eyewear, save on sunglasses and goggles. 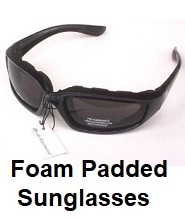 Low prices and free shipping on sunglasses and goggles at Motorcycle Gear Superstore. 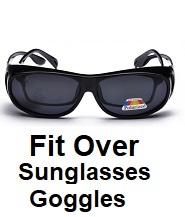 Largest selection of biker sunglasses and motocross goggles at the lowest prices available. Motorcycle sunglasses and goggles, shop and save on all eyewear, including biker sunglasses, dirt bike or motocross goggles. 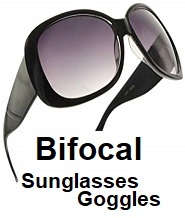 Large selection of biker sunglasses and goggles to choose from at some of the best prices on the web. 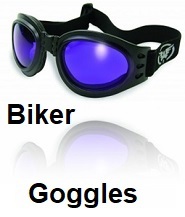 Protective eyewear for motorcycle riders. Wearing a pair of biker sunglasses or goggles can help protect your eyes from sun glare or flying debris while riding your motorcycle. How to select the right pair of motorcycle sunglasses. The first thing you should consider when selecting a pair of motorcycle sunglasses, is how the sunglasses fit your face. Some motorcycle sunglasses do not fit the face properly and can move around or blow off while your riding. Having a pair of motorcycle sunglasses that fit properly is a must for all bikers. The next thing you should consider when selecting a pair of motorcycle sunglasses, is the UV rating. You will want to select a pair of motorcycle sunglasses, that will help protect your eyes from the sun. You should also select motorcycle sunglasses that are shatterproof, to help protect your eyes fro flying debris. As you can see, selecting the right motorcycle sunglasses is important for multiple reasons. How to select the right motorcycle goggles. The first thing to consider when selecting goggles is the type of riding you will be doing and what the goggles will be used for. There are two types of motorcycle goggles, there are biker goggles and motorcycle goggles for dirt bike and motocross riders. Biker goggles are typically worn by riders who ride cruisers and they wear motorcycle goggles to help keep flying debris out of their eyes while riding. Dirt bike and motocross motorcycle goggles are worn by racers who want to keep dirt and mud out of their eyes while racing. 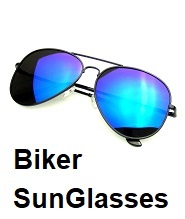 We offer biker sunglasses and goggles for all types of riding. Shop and save on all styles of motorcycle sunglasses and motorcycle goggles. All our motorcycle sunglasses and goggles, come with a 30 day unconditional return policy. Just return any motorcycle sunglasses or goggles, within 30 days and we will grant a full refund. Thank you for shopping with us, we appreciate your purchase of a motorcycle sunglasses or goggles.